We grow our business through a small amount of advertising, but most of all through word of mouth. 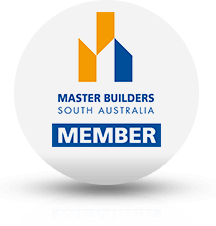 We believe ACM Concrete are the best concreters in Adelaide, below are some endorsements that we have received from our happy customers. The best compliment we can receive is a referral to your family and friends. "My wife and I cannot thank you enough for what you guys have done for us with our exposed aggregate driveway and front paths. Your professionalism and the end product is truly first class and it has been an absolute joy dealing with you from start to finish. The job was done when you said it would be done, the price was fair and reasonable and the end job came out even better than you said it would. We highly recommend Carlo and the ACM boys for all your concrete needs and trust us you won't be let down because we have the best driveway and front paths to prove it." "I have worked alongside Carlo from ACM Concrete on several residential and commercial jobs, they are the easiest concreters to work with and are willing to do that bit extra to make life easy for the next trade. I never hesitate to refer these guys on to a number of builders and clients we do work for." "Over the years I have used ACM Concrete exclusively on several of my development projects. From retaining walls, aggregate concrete and laser level foundations, Anthony, Carlo and Mario are a friendly, professional, approachable team who have always provided a very high level of workmanship and attention to detail second to none. I would highly recommend the ACM team without hesitation." "I just wanted to let you know how great our experience has been working with Carlo & the ACM boys on our backyard patio project. Everyone was helpful and professional. Ordering and obtaining material was easy and we had no hassles or delays. Our yard has undergone a complete transformation. It really has been a wonderful experience. I would highly recommend them to anyone for any project no matter the size." "I highly recommend ACM Concrete! I had steps and a huge footpath that needed to be completely torn up and re-laid. They were quick, professional and it looks flawless! Their communication was fast and friendly too!" "Carlo and his team worked with us to coordinate a great deal of detail to prepare for the project. They were patient with us as we made decisions and answered all of our questions. They kept our shared driveway clean and tidy as they worked, and the concrete looks beautiful! They are professional, courteous, and honest, and their work looks fabulous." "I have used ACM Concrete on several occasions for my managed properties and they've never disappointed, even with difficult surroundings - tree roots, uneven ground and high pedestrian traffic areas. They're extremely accommodating, communicative and honest. 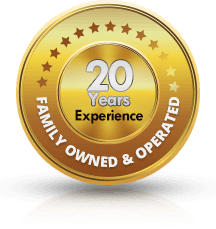 They are the proven standard of how a contractor should conduct business and I look forward to using their services again, in my business and my home." "Carlo & his boys did a great job on our side path, we had a severely concaved area. They did quick, quality and efficient work." "Carlo and his team have now done several jobs at my home over the last few years. I have always been treated in a friendly, professional manner by all of his hard working crew. Whether I had my shed base concreted, new front steps formed, driveway and curb done, I have always had the best, service. I will continue to recommend ACM Concrete, Thanks!"